Does this play the traditional violin music? Is that a real bow? 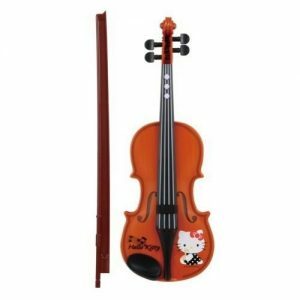 Has anyone purchased this kitty violin? Is it a toy violin? It certainly looks like a toy. Nevertheless – very cute! I wonder what Mr Suzuki would make of this one! ?